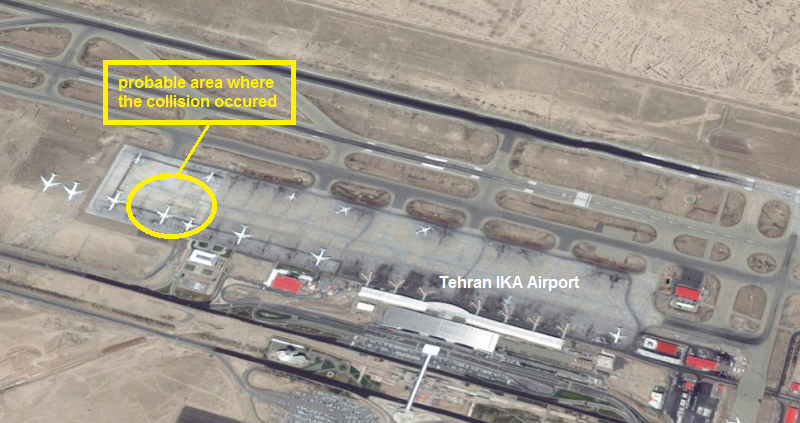 Both aircraft received damage in a heavy ground collision at Tehran-Imam Khomenei intl Airport, Iran. There were no reports about any injured persons. 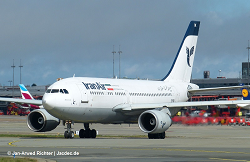 In the morning hours in good visibility, both aircraft were pushing back out of their overnight parking stands, when the tail of the Airbus A310 collided with the tail of the larger A340. 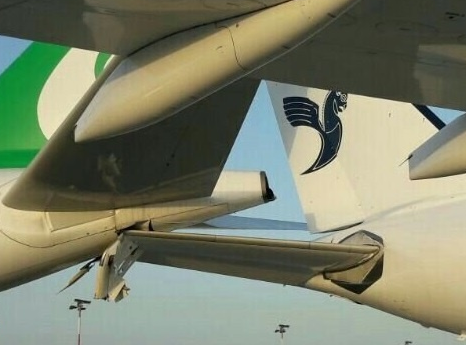 The collsion was so severe, that the outer third of the A310’s right horizontal stabilizer broke off. 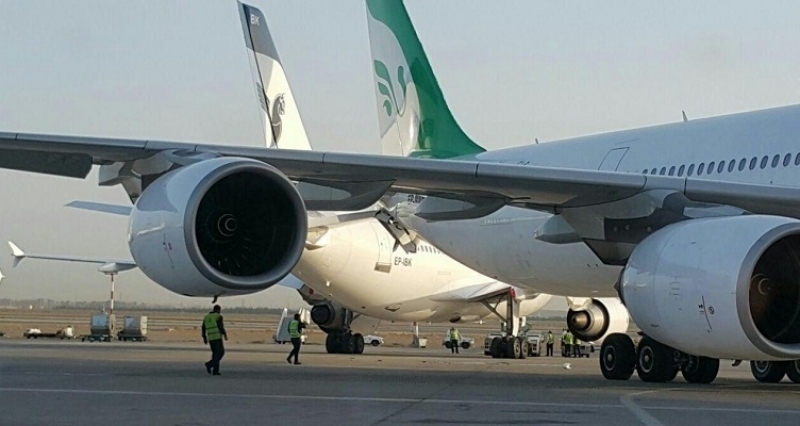 Additional damage occured to the lower auxiliary power unit (APU) access doors of the A340. There are no reports of injured persons in this regard. 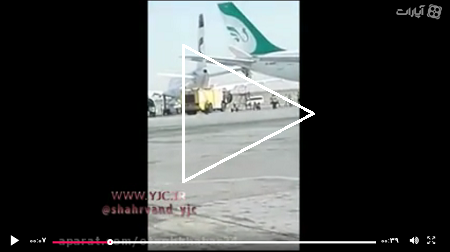 Both aircraft were taken out of service. 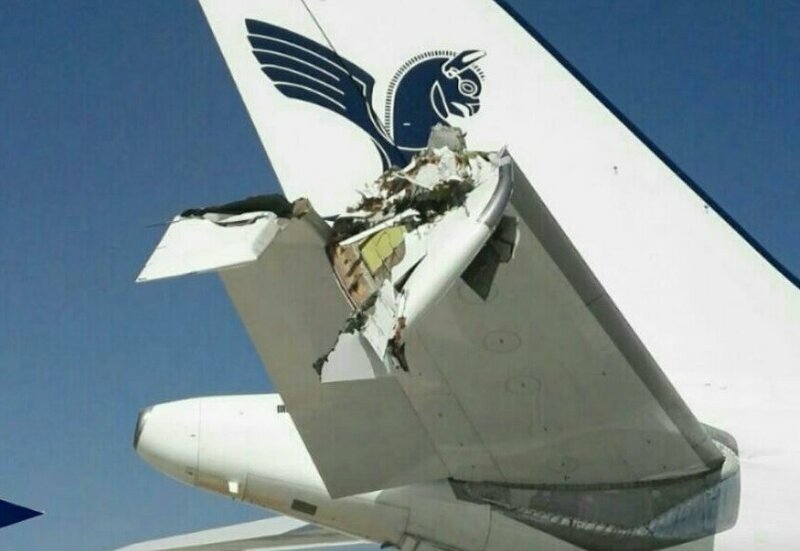 There likely is further damage to other aircraft parts as well. 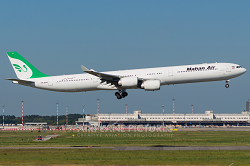 The Airbus A340 was due to fly a scheduled service to London.